Are you overwhelmed by all the roof style options for your home? With so many choices, it may be a challenge to pin down which one will work best for your house architecture, your personal taste and your bank account. In addition to aesthetic appeal, it its important to consider your local weather conditions, as some types of roofs are better suited for a particular climate than others. For example, while a classic (most common) gable roof is not the best choice in areas that get hurricane level winds, it offers great protection against snow and ice dams. Before making a decision that will impact your home’s curb appeal and durability, it’s a good idea to learn a bit more about the most popular roof types. With each, we will include additional costs of roofing and construction, as well as waste factor. While some roofs are aesthetically very pleasing, complex geometry will increase your material and installation costs. If you’re looking for a classic silhouette for your home, a gable roof is a sure bet. The style most favored by young artists when drawing a house, it features a triangle shape created by two sloping faces of the roof meeting at the top ridge. Gables can also adorn dormer windows and porches. Cost-effectiveness, classic styling and functionality make it one of the most popular roof styles that tops millions of homes throughout the US. Gables are the simplest to build and install materials on, and all “standard” roof prices are based on this style. From a construction standpoint, you have 2 straight sides / surfaces, without any pitch changes / stops, etc. So this is the least expensive option that will have the lowest materials waste factor of 5-7%. Standard Gable roofs have Extra Cost Factor of ZERO. 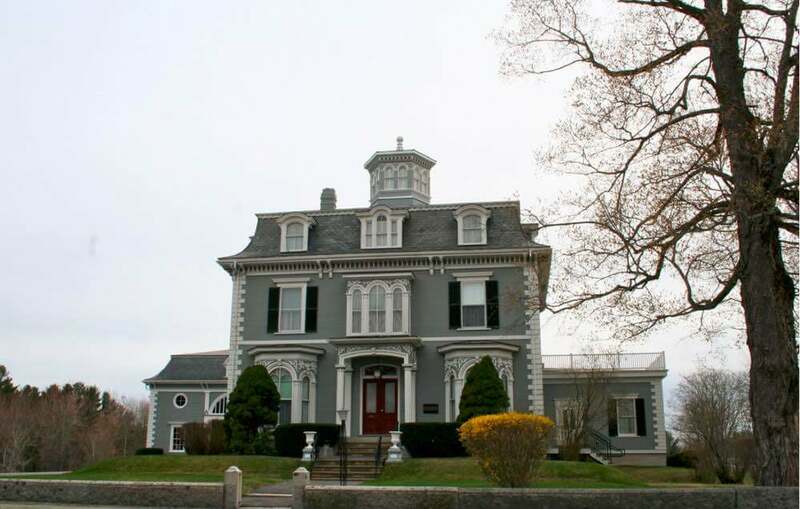 Architectural styles which commonly make use of the gable include the classic Cape Cod, Colonial Revival and Georgian Colonial. 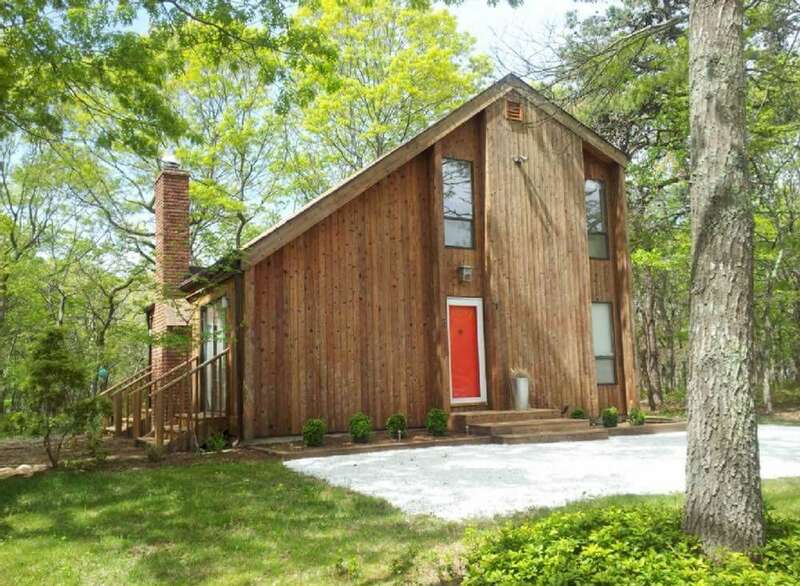 Cape Cod homes, in particular, typically use side gable roof shapes in combination with gabled dormers. Materials most often used include asphalt, wood shakes or slate shingles. Asphalt is a more lightweight and cost-effective material. Wood and slate options often require additional reinforcement to accommodate the added weight. If your gable roof also has hips and valleys, it is more susceptible to leaks. Therefore, it would be best protected by such lifetime materials as metal shingles or standing seam panels. The pitch of a gable roof makes it easier for the surface to shed moisture during periods of rain or snow. It also allows for added space to accommodate vaulted ceilings or an attic. In high wind areas, however, it can be a liability. Improperly constructed frames or excessive overhang can make it easier for very strong winds to lift the roof from the walls. In strong competition with gabled options for the title of “most popular roof style,” hip roofing typically features a gentle pitch, with all sides sloping toward the walls of a home. This creates a profile without vertical sides, and visual interest can be increased with the addition of dormers. You will be able to customize a hip roof with these inclusions, adding your own personal touch. Hips are more complicated to construct and to replace. Some steep slope hip roofs may require use of a man-lift to safely install certain types of materials such as slate or metal, especially when it is more than 2 stories off the ground. It has a waste factor 12-15%, and additional installation costs of 10% as compared to Gables. Additional consideration should be given to ventilation. Due to its geometry, this style does not work well with most common types of modern roof venting – Ridge / Soffit, because the ridge of a hip roof is usually 1/3 the length of it’s soffit intake, and thus 2/3 of the roof’s surface does not get proper air circulation. Use of power vents and Hip “ridge” vents may be required. 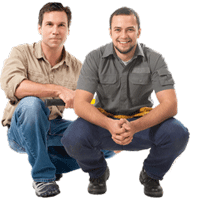 Consult with your builder or contractor, for the best plan of action. It is important to ensure that proper ventilation is installed from the start to avoid many costly problems that will arise overtime, including rot, mold, etc. 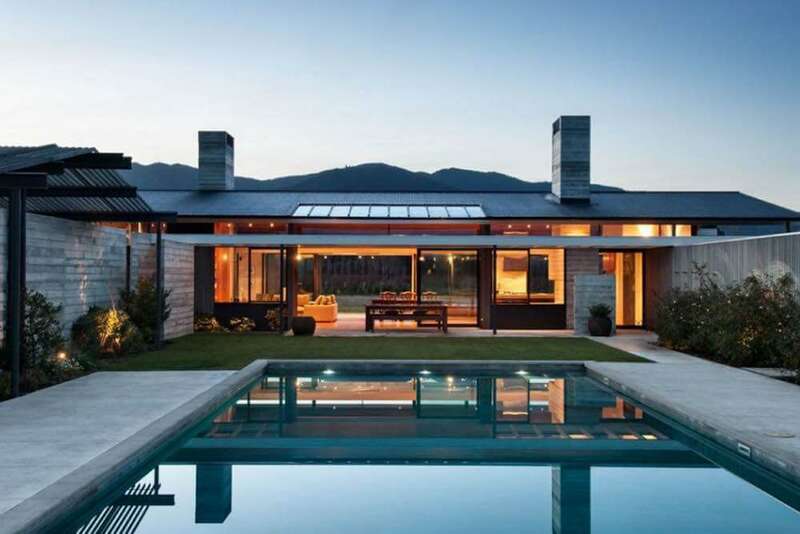 There are several architectural styles which typically feature hip roofs. These include French-inspired styles like the French Provincial or French Creole, the American Foursquare, Neocolonial styles with a Mediterranean influence, cottage and ranch-style homes. Almost any common material can lend itself well to hip roof application. Choosing the right one will largely be a question of budget and personal taste. Tile or clay will perhaps be a better match for Mediterranean-inspired styles. For cottage and ranch homes, traditional shingles may be a better thematic match. On the up side, hips are far more stable than many other popular styles. Ideal in areas prone to high winds or heavy snowfall, a properly constructed hip roof will not collect water. It can also provide some added space for attic storage or vaulted ceilings. 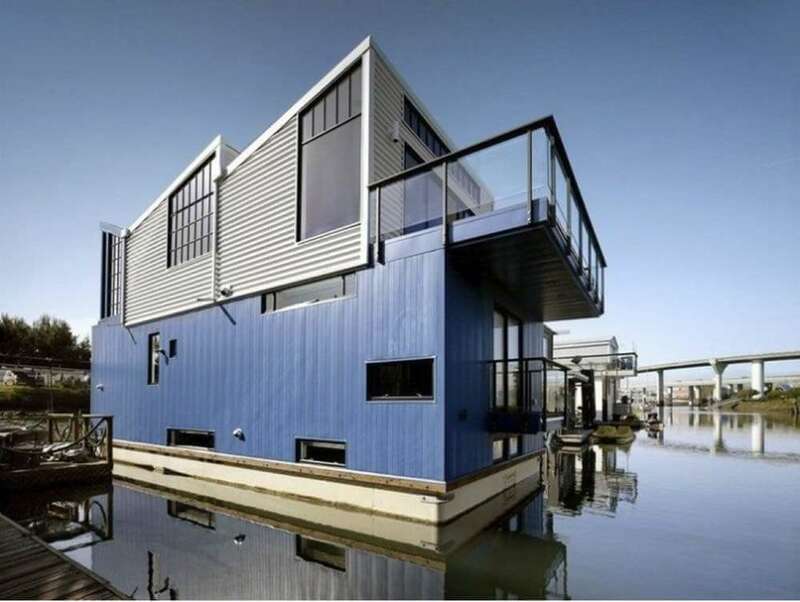 One of the biggest drawbacks is that due to its complex design, it can be one of the more expensive styles to build. Also, any construction errors can make it more susceptible to leaks than other roofs. If you are planning to install it in a high wind/storm area, it’s advisable to use pitch of 4/12-6/12 (33°-50° angle), for greatest protection. If you’re looking for an ornate, classical style, a mansard ( also known as a French or curb roof) may be the best choice. 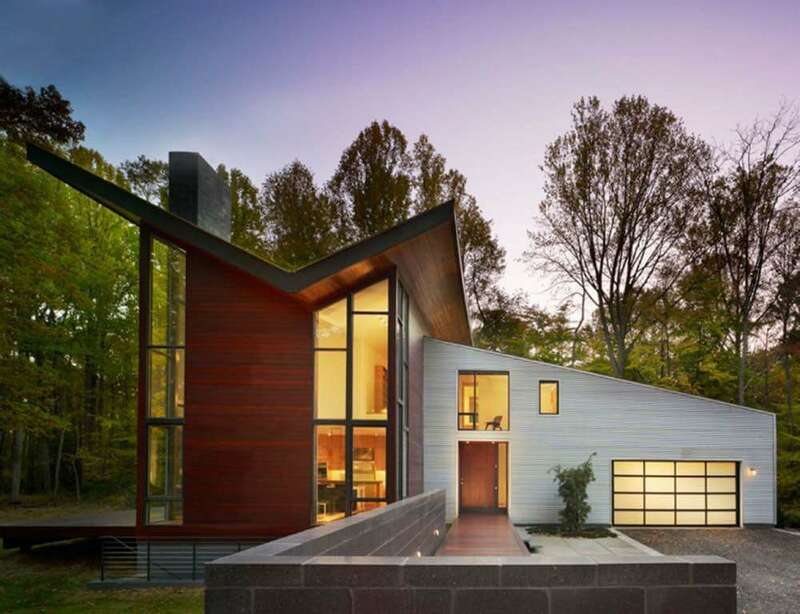 More complex than either the hip or gable, it features two separate slopes on all four faces. The upper slope is pitched at a low, subtle angle, while the lower slope is so steep as to almost appear vertical. Dormers are a common feature of the mansard. Mansards are essentially very steep (almost vertical) hip roofs with a flat or hipped top section. Mansard roofs are installed off man-lifts, scaffolding or ladders. While the waste factor is lower than in Hips, you also need to account for an additional top roof section, as well as increased installation difficulty. We estimate the extra cost of installing a mansard roof to be 18-25%, depending on building height, and access difficulty. By far, the most popular use of mansard roofing are architectural styles influenced by French designs. In fact, the term is taken from the name of a French architect, François Mansart, who helped spur a revival in this roof use in the 17th century. The Louvre in Paris is the most well known example of a building featuring this roof. Second Empire and Renaissance Revival-inspired architectural styles also tend to feature mansards. 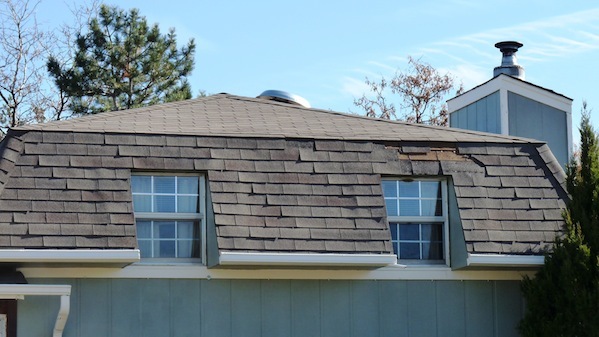 One important factor to consider is that the weight distribution on mansards is minimal due to steep slope, and soft asphalt shingles often fall off prematurely, due to their light weight and weak “structure”. We recommend to use other, more durable materials, such as tile, slate, wood shingles or metal panels. Ceramic, clay and cement tiles are most widely used. However, metal is growing in popularity. In fact, using metal shingles for the steep part of the roof can be visually appealing and will offer lasting protection. It is also important to ensure that the low slope part of the roof is securely flashed and waterproofed, as this area is more susceptible to damage. One of the biggest attractions of a mansard is that its pitch and design allow for greatly increased usable space on the uppermost level of a home. This makes it easy to not only take advantage of attic space for storage, but to even add an additional story to an existing home for functional living space. On the down side, this roof is highly complex, and therefore more expensive and labor-intensive to build. Moreover, the low pitch can make it less suitable for homes in areas that receive heavy snowfall, and they often need extra waterproofing measures to prevent leaks. Are you looking for an unassuming, simple roof for a traditional home? The gambrel may be the way to go. Closely related to a mansard, a gambrel features a steeper pitch at the top angle, which is more easily visible from the ground. It is one of the most popular roof styles for barns, but can also be frequently spotted on residential construction. An easily recognizable example of a famous home with this roof is the Amityville Horror house in Amityville, New York. 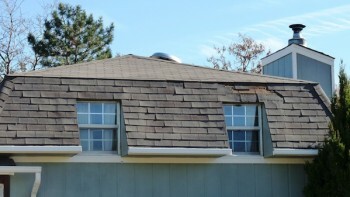 Cost of re-roofing is very similar to a gable. 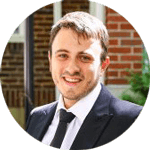 However, due to construction specifics (air passage is obstructed where the roof changes slope from mansard to lower slope top), most older Gambrels lack proper ventilation and insulation, and are especially susceptible to Ice Dams related leaks. If you live in the Northern regions of US or Canada, be sure to add proper ventilation and insulation during the initial roof construction or replacement. Use of Ice and Water barrier in combination with breathable synthetic underlayment is recommended as a minimum precautionary measure for ice dams prevention in the north. In the south, adequate ventilation is also essential for prolonged life of ALL types of asphalt shingles. Breathable underlayment without Ice and Water barrier is highly recommended in this region. Additional costs would be in 5-10% range, compared to the same size gable. 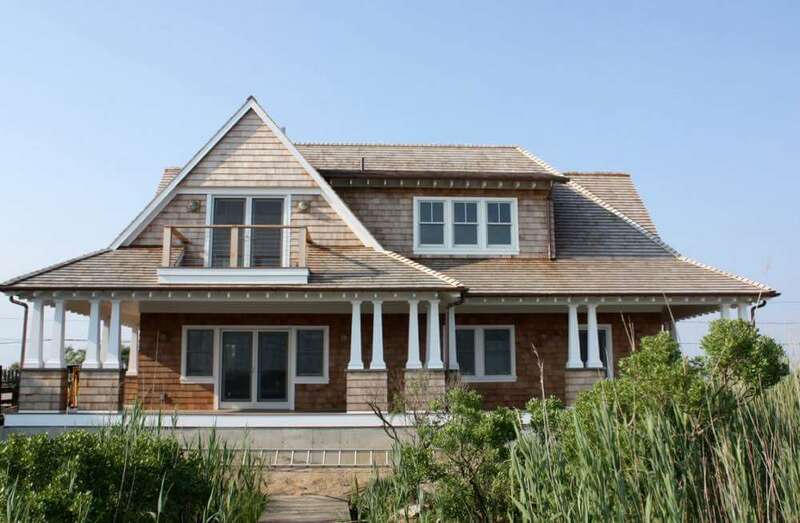 A Gambrel roof is often part of Dutch Colonial or Dutch Colonial Revival homes. Georgian styles also make use of gambrels, as do cabin, country and farmhouse designs with a barn influence. Metal is growing in popularity, due to its high durability, longevity and low maintenance requirements. Still, slate, wood and asphalt shingles are most commonly used. If you plan to install asphalt shingles, we recommend adding Ice Belt metal panels along the eaves of the upper roof section to prevent ice dam leaks. The ample space beneath a gambrel roof makes it ideal for homes that need potential expansion space, as lofts, garrets and increased attic space are always an option. It is also a great option for an outdoor shed, as you will be getting more storage without taking up additional space. Moreover, gambrels tend to be less expensive than mansards, since the style only requires two roof beams and has lower material demands. On the down side, high moisture from heavy rain or snow fall can be an issue, as can high winds, which can cause the roof to collapse. If you decide to construct a gambrel in a severe climate location, it is recommended to use reinforced trusses on the upper pitch to increase the roof’s sturdiness. From the ground, a flat roof will usually appear to have no slope at all. However, it does hav a slight pitch to allow for moisture run-off. These roofs are most prominent on commercial, industrial and government buildings. Over the past few decades their prevalence has increased in residential construction, as more homeowners are opting for modern style homes. Compared to sloped roofs, flat and low slope roofs require a completely different installation approach, as well as special materials made to withstand ponding water. As we mentioned before, flat roofs are becoming increasingly popular in residential construction. They are ideal for Mid-Century Modern and Modern house architecture. They are also a great option to install over a shed dormer, above a garage or a porch. EPDM rubber is the material most frequently used on flat roofs. However, if you are looking for a long lasting, leak-free material, it is best to go for a TPO or PVC membranes, because they do not have seams and are impervious to water. Rolled roofing – do not install this on your home! 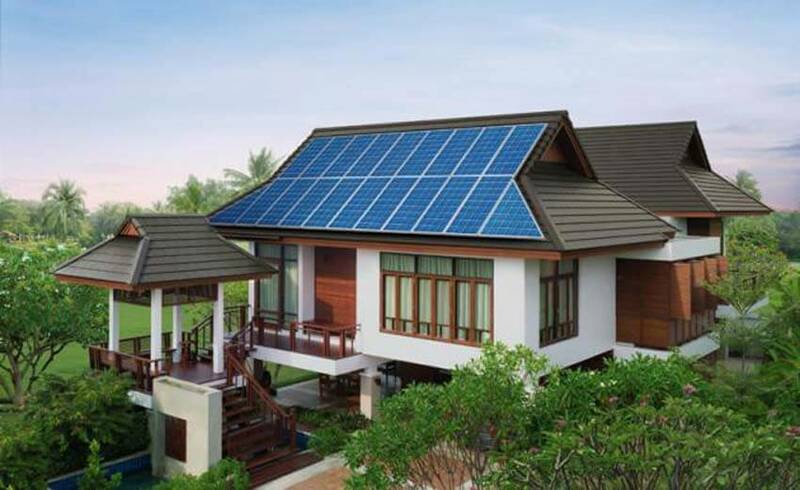 If you’re planning to install solar panels, a flat roof can be ideal. It makes future expansion of living space an option, since patios, gardens or even penthouse rooms can be added. Because of the very simple construction, flat roofs tend to be far less expensive than other popular roof styles. A flat roof is not designed to shed snow and water as quickly and effectively as sloped ones. This means that initial savings can be a trade-off, if a flat roof is not waterproofed, since maintenance and repairs may be needed more often. Whether you’re looking to add a sharp focal point to your roof, or an inexpensive option for a new home addition, a skillion may fit the bill. 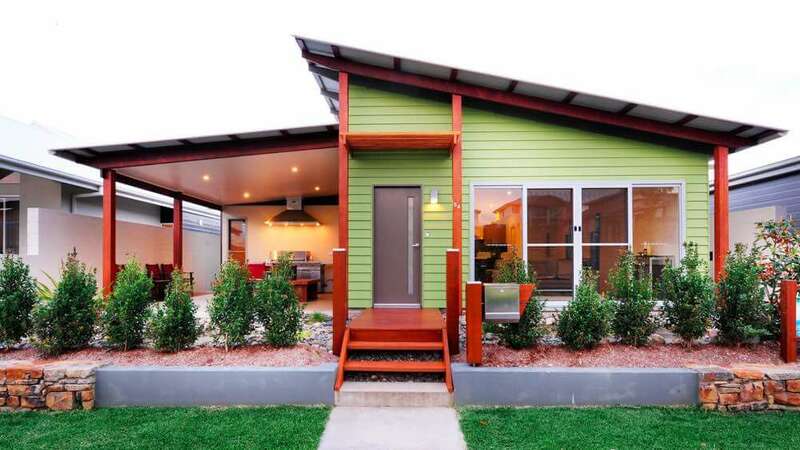 Featuring a single slope, it is sometimes called a lean-to or a shed roof. Most of the time, it is attached to a taller wall, creating an off-set appearance. A shed roof is essentially just as easy to roof / build as a gable, and should cost 1:1 with comparable size. Ventilation may be a concern in some areas, so talk to your roofer / builder about including a soffit / ridge venting system if possible. 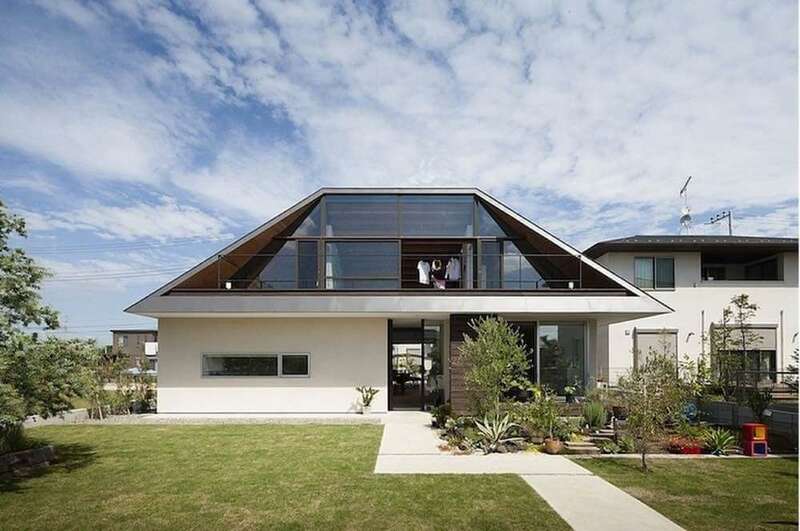 Modern architecture is most often associated with skillion roofs. These are also often used for additions and porches. Standing seam panels, with their uniform look and feel, are an ideal choice for the modern aesthetics of a skillion roof. However, metal or asphalt shingles, as well as tile can also be used. Because the pitch of a skillion roof tends to be relatively steep, water runoff and drainage aren’t usually an issue. The same steep pitch that makes it less prone to water intrusion also helps to cut costs, since you won’t need a membrane or rubber skin for waterproofing. It is fast and easy to construct, but can limit ceiling height if the pitch is too severe. Also, high wind can be an issue if you live in areas prone to such weather conditions. You’ll be able to lend a vintage flair to even a brand new home, adding character and interest with a jerkinhead roof. Combining the visual elements of both hip and gable styles, the it is also called an English hip or a clipped gable. While this roof style requires some additional work on gable ends, the extra work is insignificant and should not increase your overall cost by more than 2-3%, compared to same size gable. Jerkinhead is ventilated the same way as a typical gable, by either installing ridge / soffit venting system or using gable end vents. Several variations of Victorian house styles make use of jerkinhead roofs. You can also find this popular style on cottages and bungalows. You will have a variety of options to consider, such as shingles, metal, tile just to name a few. Really, you’re only limited by budget and personal preference. In addition to versatility and visual interest, a jerkinhead roof offers greater stability than a regular gable and more space than a traditional hip roof. When you want to make a bold statement, a butterfly style can make a big impact. Taking its name from the angle of a butterfly’s wings, this roof meets in the middle with an upward angle at each outer end. The architectural style most closely associated with the butterfly roof is Mid-Century Modern, though they also make appearances in “Googie” and ultra-modern designs. If you’re considering a butterfly roof, you’ll need to make sure you choose a material which lends itself well to waterproofing. You can install continuous, solid membranes with no seams, such as PVC or TPO, or metal for lifelong protection. One of the biggest selling points of a butterfly roof is the fact that its angle offers the option to install larger windows, bringing more natural light into your home. It is ideal for anyone looking to build an eco-friendly, zero energy home, as you can install solar panels, a water collection system and incorporate daylighting practices. Rain water naturally gets stored in the valley in the mid-section of the roof, and can be collected by installing a downspout and a water collection reservoir system. On the downside, there is a risk of drainage getting clogged, causing water to pool and leak, eventually damaging the roof and the home (if the issue is not fixed properly). Moreover, large windows can pose a challenge to regulating temperature levels throughout the home. An asymmetrical roof with one slight slope and one dramatic angle is known as a saltbox roof. Cape Cod and Colonial Revival architectural styles often make use of the saltbox roof, which came about as a means of cheaply adding more living space on upper levels of the home. You can add the potential for expansion space and a traditional air to your home with this roof. Most building materials are well suited to saltbox applications. If you live in an area prone to heavy rain or snow fall, the slope of a saltbox roof can help you avoid leaks because of the easy runoff. Potential for added living space is a major plus for growing households, though it can be more expensive to construct and those rooms may have slanted ceilings. It does offer superior durability over many of the other popular styles. The sawtooth roof is another great option if you’re looking for ways to make a big visual impact, while adding more natural light to your home’s interior. Two or more pitched roofs placed parallel to one another, with vertical surfaces facing the same direction, are known as a sawtooth. Viewed from the ground, it slightly resembles a side view of a manual saw blade, from which the style takes its name. Initially used only in commercial and industrial buildings, sawtooth roofs are now a frequent choice for modern home design. Metal, reinforced concrete and wood are common materials. Several peaks and valleys can leave your home more susceptible to leaks. Although this can be avoided by investing in extra waterproofing protection, it is advisable not to install a sawtooth roof in regions with heavy snow and rainfall. On the up side, the series of peaks does make it easier to include lofts or expansion areas. Also, windows added to vertical surfaces can leave your home brighter, with more natural light access. Do you live in an area where high winds are a concern? A variation on the classic hip style, a pyramid roof doesn’t feature any gables or vertical sides and may be the best choice. In this roof type, all four sides meet at a single top center point. Bungalows, cabins and other relatively small house styles are ideally suited to the pyramid roof, since the style allows for only four outward walls. It is suited well to almost any material, there are no real constraints. 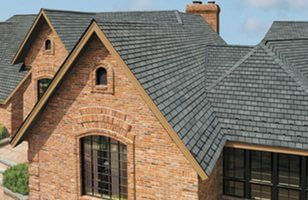 Metal, any type of shingle, or tile can be used. 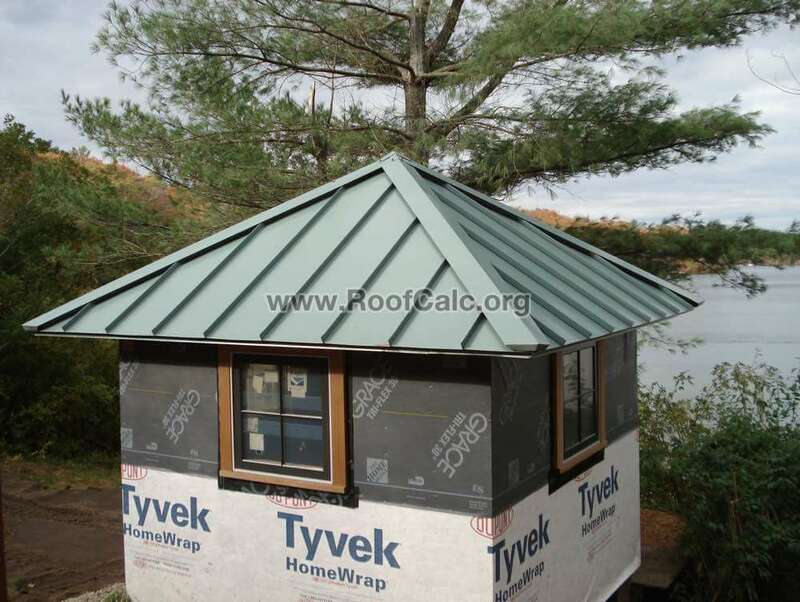 A standing seam metal roof can be one of the best materials to use. Since these roofs are very difficult to work on, you want to install a permanent material, so that you never have to come back to it again! Due to its shape, a pyramid roof is ideal in areas prone to high winds or hurricanes. There is also added space for high ceilings or storage space underneath. On the downside, this is one of the more expensive styles to construct. 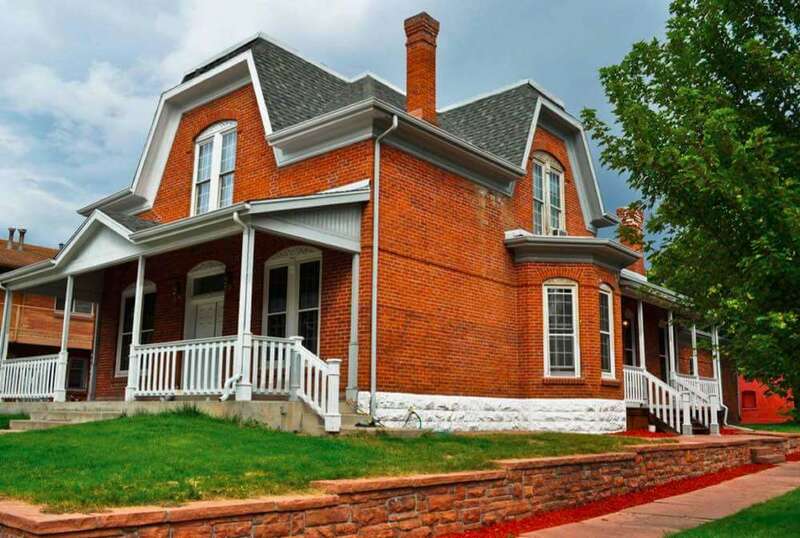 Do you love the idea of a domed cupola perched above a mansard roof? 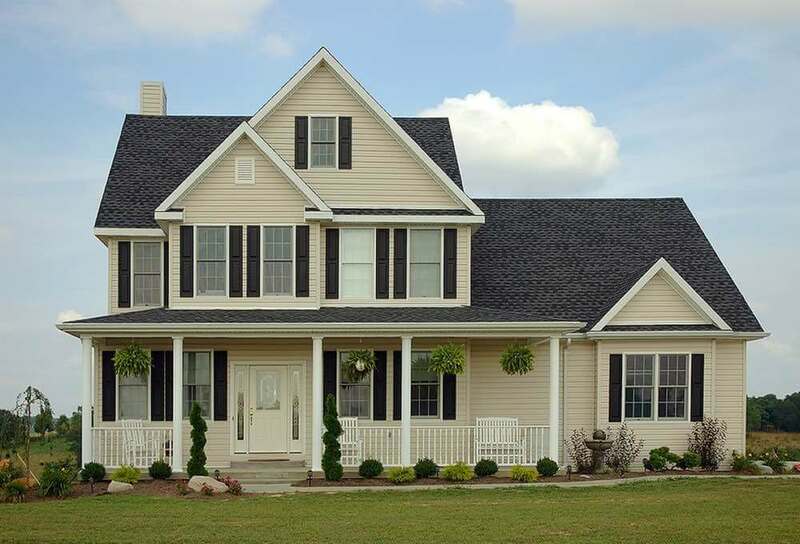 Perhaps a skillion over the porch of your Cape Cod style home with a gable roof? Well, then it may be time to consider a combination roof. As the name suggests, it incorporates two or more roof types in its design, and as a result can’t be beaten in terms of versatility and customization. The most popular combination is that of a gable and hip roofs. Combination roofs are used to complement a variety of architectural styles, from traditional to ultra modern. The materials will vary, depending on the elements you choose to integrate. You will have an almost unlimited ability to customize your home with a combination roof. However, it’s important to keep waterproofing in mind, if your chosen style will include lots of peaks and valleys. Depending on the complexity, a combination roof can be quite expensive. A Dutch Gable roof (also known as the Dutch Hip) combines both hip and gable constructions and offers the advantages of both. 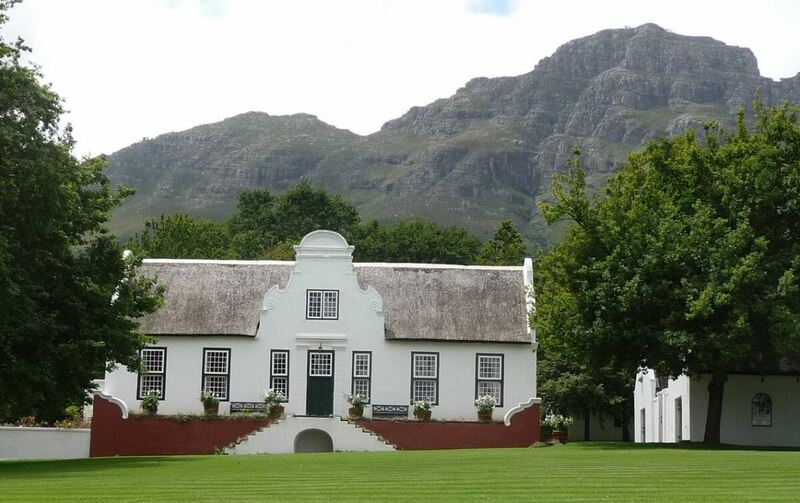 It has a hip roof with four sloping sides and a gable roof (also known as a “gablet”) on top. Frequently, the triangular gable section is aligned with the masonry wall below, creating a larger roof space that still has wide eaves. It is also common to place a small window in the gable side of the roof. Also, many Dutch Gables have distinct ornately curved sides, which are there for purely aesthetic purposes. Building a Dutch Gable is a fairly similar process to that of a Hip roof. The main difference is the addition of vertical gable openings on ridge line ends. Thus, framing and roofing costs increase by 10-15% (same as a Hip Roof) compared to a straight gable. You have the same waste on materials, and the same increase on work complexity. However, adding gable vent openings has a tremendous effect on simplifying ventilation, which is a serious problem on hips. You also do not need to use ridge / soffit vent combo, or power vents. 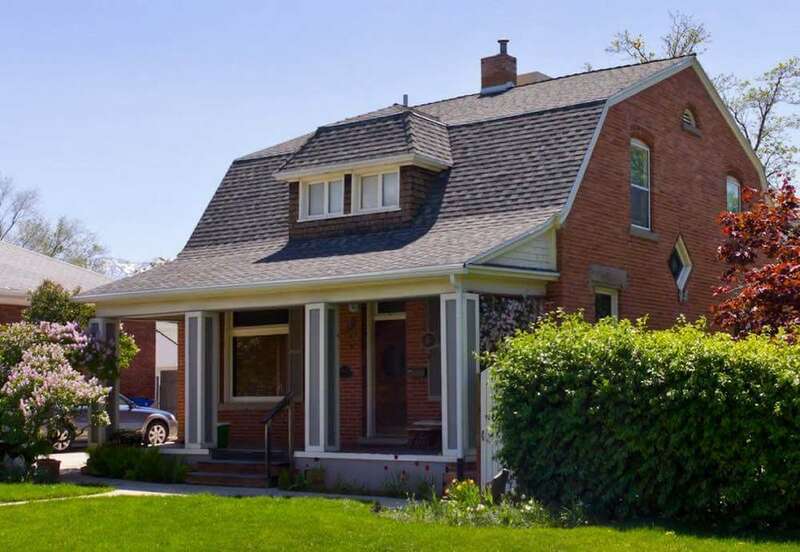 While building a Dutch Gable is more expensive, the added aesthetic benefit can outweigh the extra costs, if you are not comfortable with simple looks of gable roofs (ranch / cape type homes). Dutch Gable roofs can be found all over Europe and date back to Renaissance and Baroque Architecture. It will look best with Cape Dutch, Mission Revival, Dutch Colonial, and Colonial Revival style homes. Another roof type that is commonly referred to as “Dutch Gable” is a regular gable with decorative walls / gable ends, which are common in Mexico and on old homes in Europe. However, these are rare in the US. 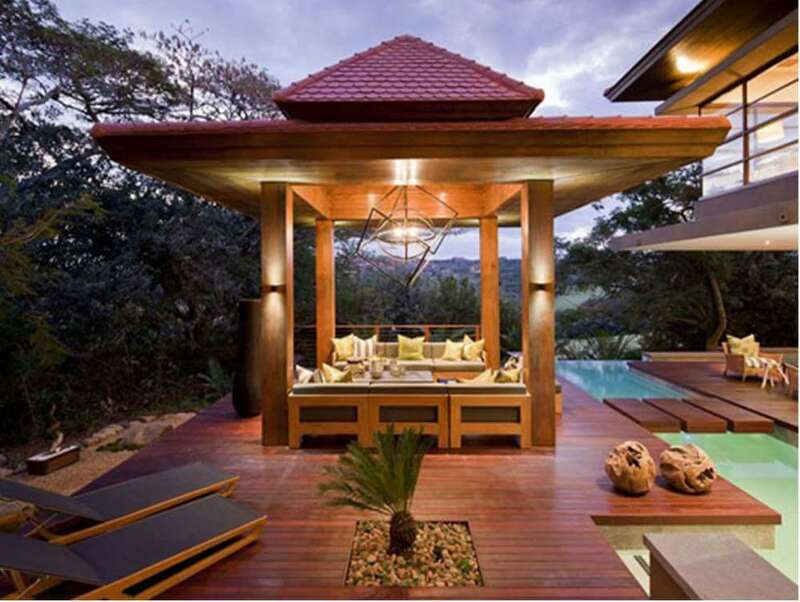 It can be constructed with most materials, including: shingles, cedar shakes, metal, clay or concrete tiles. 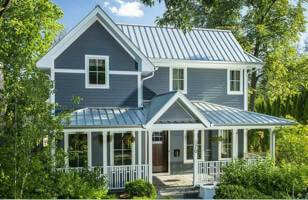 Note, that if it has hips and valleys, either metal shingles or standing seam should be installed to prevent leaks. One of the biggest advantages is that it combines the best features of both hip and gable roofs. It offers the strong construction of a hip design combined with greater attic space of a gable. On the down side, it is more difficult to attach gutters, and more bracing is required to protect it from strong winds. A modified version of the hip roof, the bonnet features two slopes on all sides. The upper slope is pitched at a much higher angle, with a less steep slope on the bottom. This style is sometimes called “kicked eaves.” It can work especially well, if you’re covering a porch. The bonnet roof is a defining characteristic of the French Vernacular style, popular among Cajun and Creole builders in the late 18th century. It is usually found in the Cape Cod (Massachusetts) and Mississippi Delta area, but can be an influence on contemporary houses throughout the country. The construction of a bonnet enables you to use any material you like, including metal, natural stone and shingles. Like mansards and gables, the upper slope of a bonnet roof makes it easier for you to expand the upper level of your home in to functional living or storage space. It’s also easy to integrate dormers, and water damage protection is increased by the generous overhang. It is more durable than a gable, but it’s more expensive and complicated to construct. You will also need to pay special attention to the seam where both slopes meet, as water can pool in this area without added protection. 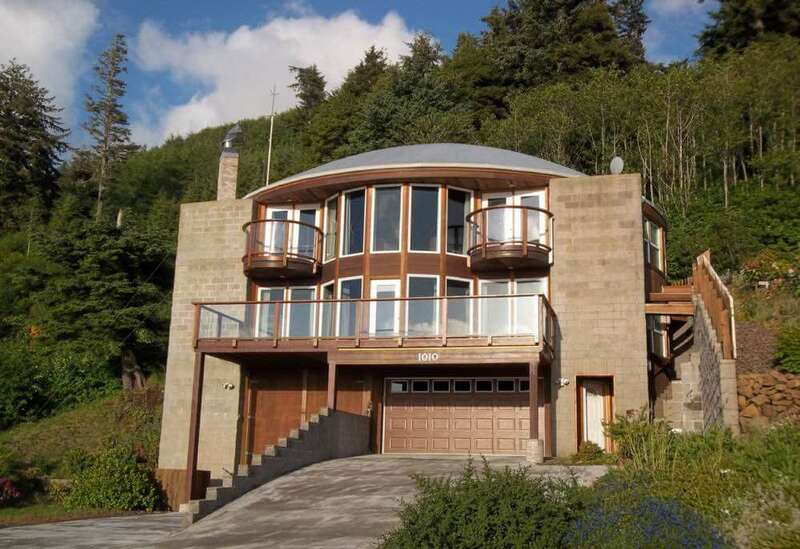 Because the amount of curve in a curved roof can be altered to suit your preference and budget, this unique style is growing in popularity among homeowners. 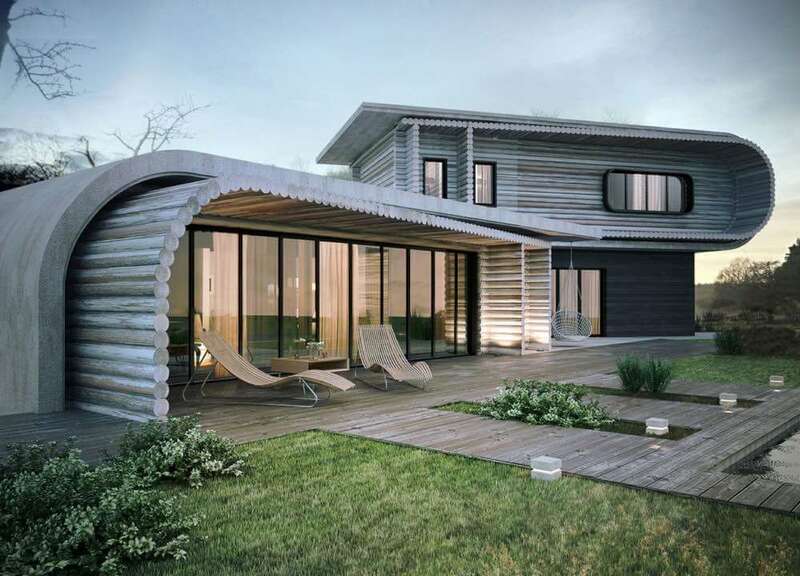 You will typically find the curved roof used in more modern architectural building style applications. Metal is an ideal material, since it can be bent easily into the preferred shape. An added bonus of metal is that you will spend far less time on routine maintenance. The curve can also be altered to suit the weather conditions common in your area, and to suit the overall style of your home. Depending upon the level of curve and complexity, building costs will vary. Do you want to lend an air of majesty to your house? Similar in appearance to an inverted bowl, the dome is usually used to add dramatic visual interest to a home. Large dome roofs were first constructed by the ancient Romans, but gained fame and popularity during the Renaissance and Baroque periods in Europe. The US Capitol boasts one of the most famous domes in the world. Often used for gazebo structures, cupolas and crow’s nests, a dome is also popular in architecture reminiscent of Russian and Italian Renaissance styles. Metal shingles is the best choice, due to its inherent beauty, durability and longevity. However, it is also possible to use regular shingles and glass. Inherently durable and unparalleled in terms of beauty, a dome roof can be expensive and time-consuming to construct. Fortunately, there are some prefabricated options on the market, which can translate to substantial savings and make this roof more accessible, if you’re on a budget. Best time to install a roof – this guide discusses the timing of hiring a contractor to get your roof (and other work) done, and aims for best quality and reduced costs of installation. Basically, it’s best to do construction work during the off – season, when contractors are not overwhelmed with work, and competition increases. Roof pitch guide – explains roof slope in laymen terms and discusses which materials are best to use on low, medium or steep slope roofs. Roof installation prices – learn how much it costs to install or replace a roof. 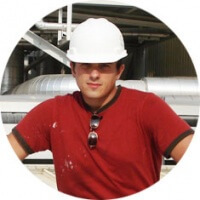 We break down how much of the total cost goes to contractors, how much goes to the workers they hire to do the installation, and most importantly – why high quality roofs cost as much as they do. Regional Roof Prices Guide – learn how much more (or less) your roof will cost, based on where you live. I love this article it was very informative. Letting the consumer know what is available and what roofing material works best with that roof is excellent. Also the pros and cons of each one. I know a lot about roof and there were a few id never heard of myself. Thanks for the article. Wow, I had no idea that there were so many different kinds of roofs to choose from. Usually you just see the normal black shingle roofs, but these look awesome! I would have to say that my favorite one is the unique wood curve wood that on top of log home. Maybe one day I’ll be able to live in something like that. My husband and I are currently in the works of designing a house and the roof is the one thing that we are having trouble agreeing on. I had no idea that there were all these different structures so many he and I can find a happy medium with them. We also aren’t really sure what material we want on our roof so we will have to talk with a roofing company about that. Thank you for sharing! I honestly had no idea that there were so many different types of roofs. I’ve only ever had asphalt shingle roofs, however I just moved, and now I have a metal roof. I LOVE the look of it. It’s so unique. I didn’t realize that this type of roof needed a bit of extra consideration when it comes to ventilation. That’s good to know. Thanks for sharing!